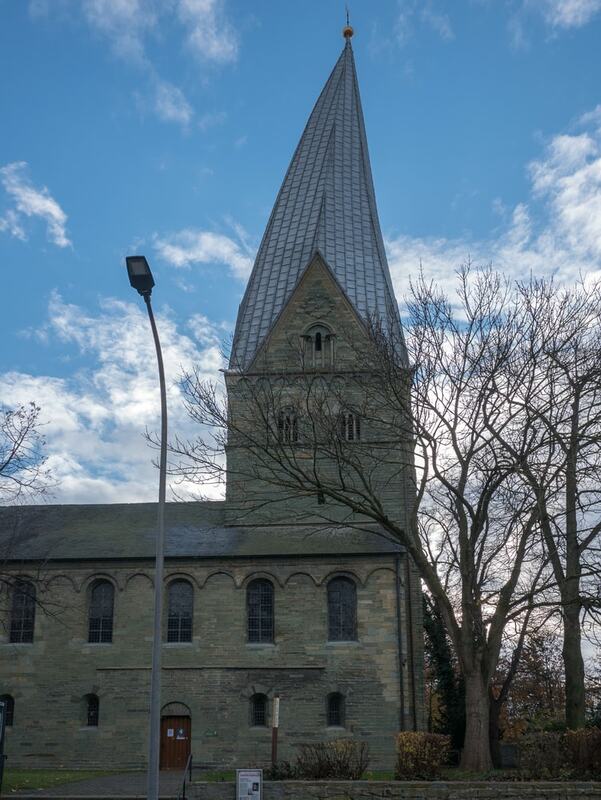 In the 15th century, Soest in north-west Germany was kind of a big deal – as a trading town and member of the Hanseatic League, it was home to more than 20 churches. By the 16th century, the money had left town, but the buildings remained. Here’s our pick of the best. St Mary of the Meadow (as it’s known in English) has windows that will take your breath away. They are nearly floor-to-ceiling all around, which means the building is flooded with light during the day – rather unusual for a church of its age, as is the basically square floor plan. The twin towers on the front were added in the 19th century. The first Protestant sermon was given by a Dominican monk in 1530 at Paulikirche when the building was more than 300 years old. Some 200 years after it was built, the church was converted from its original Romanesque style to the more popular Gothic – think round arches to pointy and loads of filigree decoration. These days, the church has lots of glass painting and statuary. 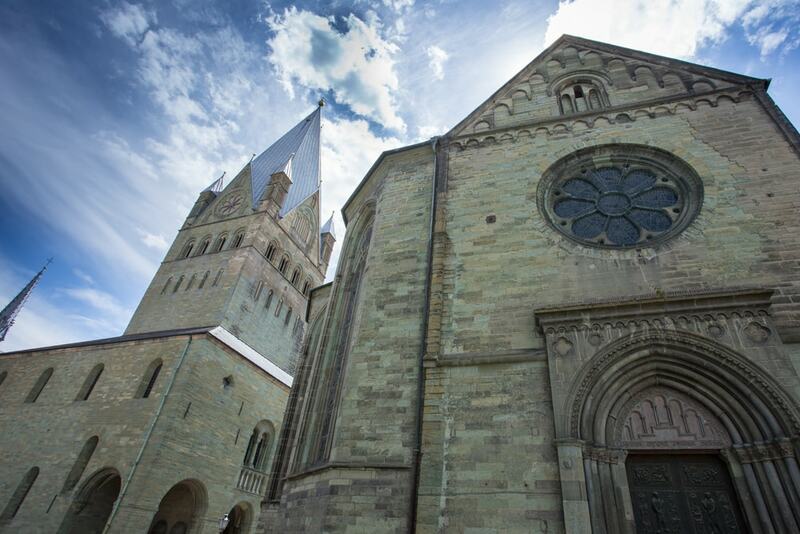 The Roman Catholic church in town, St Patrokli is important architecturally at the high point of Romanesque architecture in the state of Westphalia. There are also some relics inside, notably from its patron saint Patroclus of Troyes, as well as a large red double cross. The Brunstein Kapelle is, along with the Nikolai Kapelle, the only remaining medieval Soest chapel still standing. It was de-consecrated in the 20th century after 750 years of use, and is now used as studio and exhibition space by local artist Fritz Risken. Nicknamed Schiefe Turm (‘The Squint Tower’), the Alt St Thomä Kirche dates from 1270, making it one of the oldest in Soest. While its crooked tower is due to rot in the supporting timbers, much more interesting stories concerning its origin abound. One of the best maintains that a certain Baron von Münchhausen tied his horse to the tower on a night of great blizzard and then lay down in a tent to sleep. By morning, the snow had all melted, but the horse still hung from the tower and pulled it off balance. 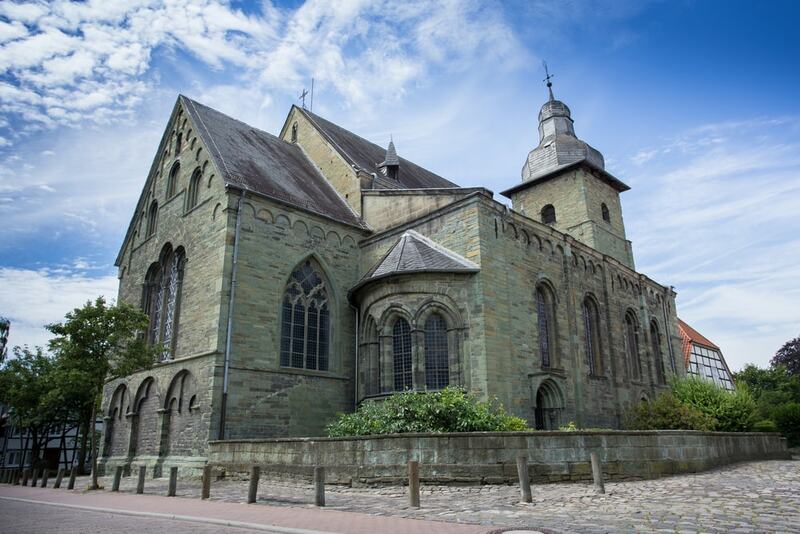 A few steps from St Patrokli, the Chapel of St Nicholas dates from the 12th century and is dedicated to the patron saint of seafarers and travellers – appropriate given Soest’s position as a trading city at the time. The building is an ususual shape – a Hanse cog instead of the more common cross. 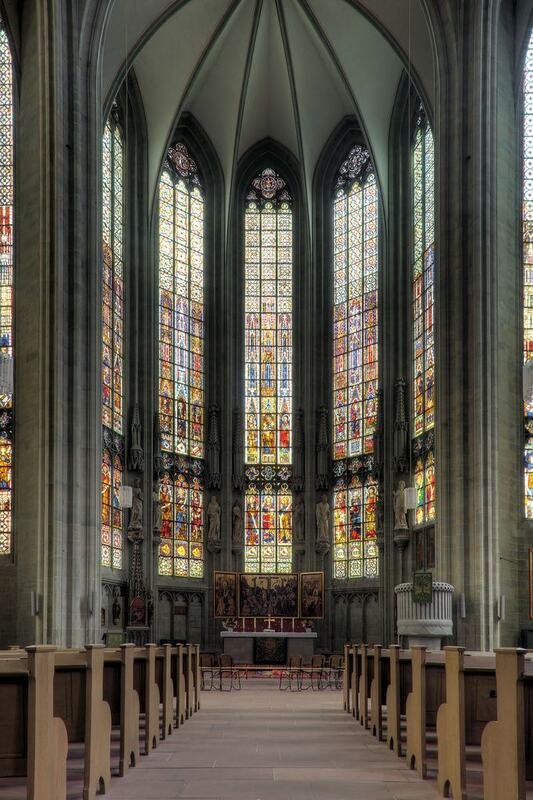 Inside, take a look at the altarpiece created 800 years ago by Master Conrad of Soest. Also called Hohenkirche, St Maria zur Höhe, with its magnificent painted ceiling and mural was also built around 1200. The Engelreigen painting reveals the church’s Byzantine influence. St Maria is the only church with a disc cross in Germany (Scheibenkreuz) and is also unusually proportioned, being wider than it is long.